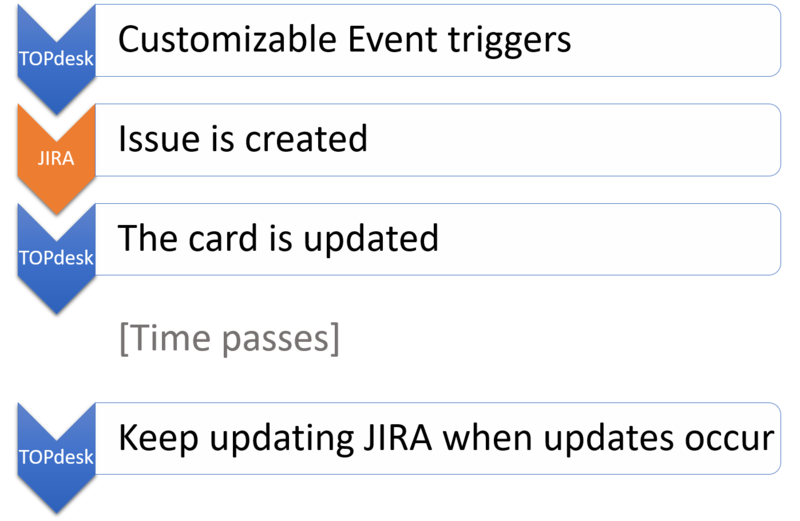 Create an issue in JIRA directly from TOPdesk when an event of your choosing triggers. If you want to link TOPdesk and JIRA to let different departments work together, this is the solution for you. You can set up your own Events with corresponding JIRA link as a part of standard TOPdesk. Create and/or update JIRA issues and optionally write back feedback into your own TOPdesk. 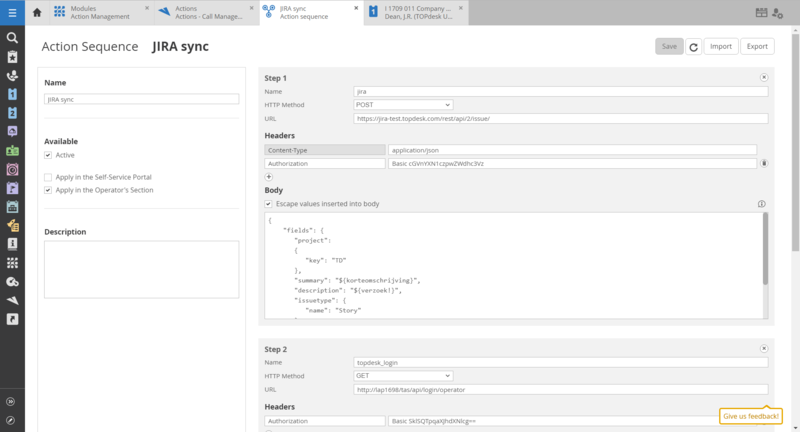 The integration can be imported in TOPdesk and only needs to be setup with your JIRA url and credentials. Link the integration to an event and you’re done! Since the integration consists out of several customizable steps, you can adjust the integration yourself or with the help of TOPdesk Consultancy. Want additional integration options? 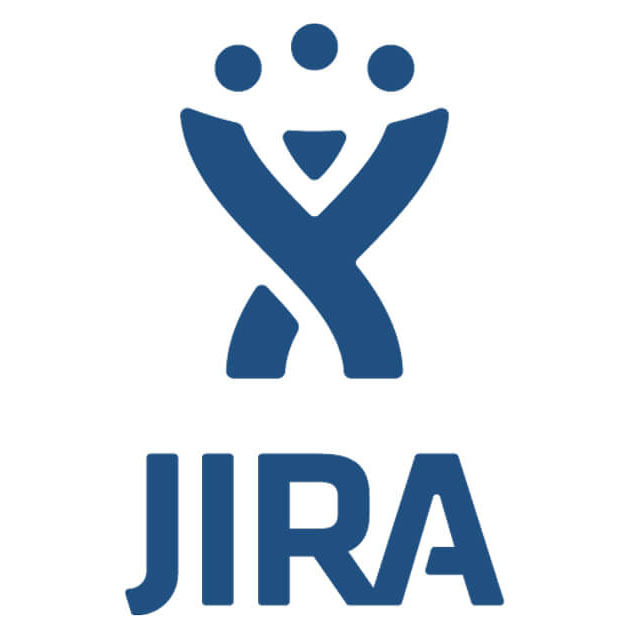 Check out the JIRA API documentation and use the same technology. Best of both worldsCombine your JIRA processes with TOPdesk and make sure there is a link between calls/issues in both systems. 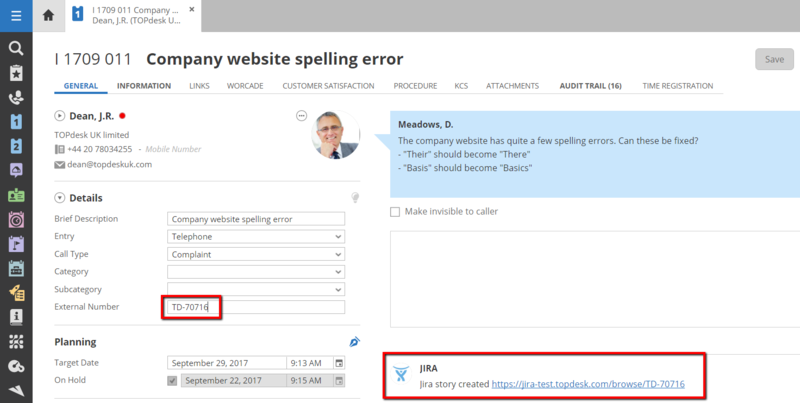 Correct information availableShow your operators which JIRA issue has been created so they can always find it. CustomizableDecide which TOPdesk events you want to use to trigger a request to JIRA and customize the request yourself. The video and the downloads above does not match each other and the download is more complex than necessary. Instead checkout the Webinar “How to build integrations with TOPDesk Action Sequences” won YouTube – which is much clearer and simpler.